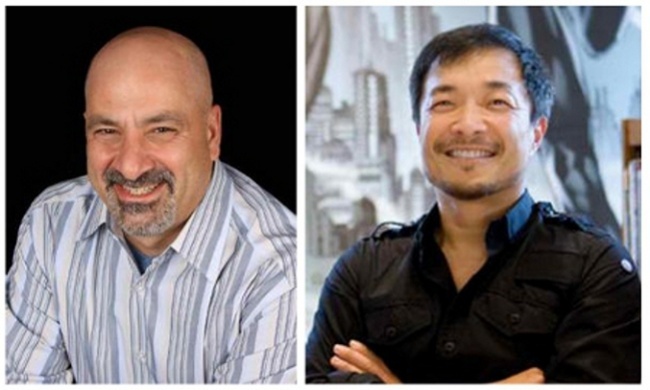 We caught up with DC Co-Publishers Dan Didio and Jim Lee at San Diego Comic-Con for our annual interview. In Part 1, we talk about the dip in comic store graphic novel sales and the differing impacts of Wonder Woman on sales, plus DC reveals two new graphic novel lines in the planning stages. 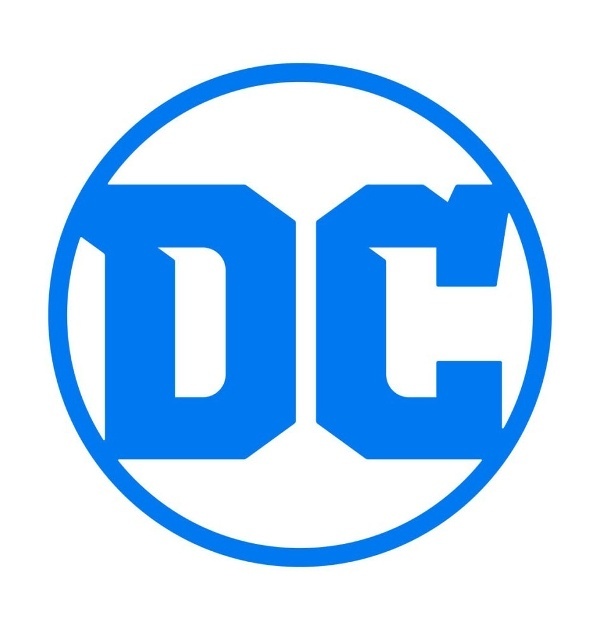 In Part 2, we talked about the demographics of DC readers and different ways of measuring them, and steps DC is taking to get and keep top talent. Graphic novel sales in comic stores are down 13% for the first half of the year. In June DC Super Hero Girls Vol. 3: Summer Olympus was the top DC title (see "Top 300 Graphic Novels Actual--June 2017"), which is great because it represents a new audience, but it was only about 5,300 copies, and there weren't any more traditional DC titles above that. The question is, why do you think graphic novel sales are suffering in comic stores for the first half of this year? Dan Didio: It's funny. We don't look at it exactly the same way. We are not seeing it as suffering, in the sense that we had a real up year last year. Last year, we had the Batman v Superman movie. We had Suicide Squad; that drove a lot of sales. We had an amazing year with the sales of The Killing Joke. We had a real up year in graphic novel sales last year. We see a little more leveling that's going on here. We were hoping the "Rebirth" trades would be a little more robust, but they are running extraordinarily strong, a little bit short of what the "New 52" trades did when we first launched with those. Overall, our trade sales are where we expect them to be. You're right, the breakout of DC Super Hero Girls is exciting for us because that's an initiative that we want to follow up on. Next year, we're going to be looking to go more aggressively in the original graphic novel business, both for the young adults and for a more mature audience. You mentioned the movie impact in the year ago period. This year, we had Wonder Woman at the beginning at June. In bookstores, you had two Wonder Woman trades in the Top 10 (see "June 2017 BookScan -- Top 20 Adult Graphic Novels"). The top Wonder Woman trade in comic stores was number 23 (see "Top 300 Graphic Novels Actual--June 2017"). Why do you think you didn't get that same response in comic stores that you did in bookstores? Jim Lee: We did see lift. We didn't see the same level of lift that we saw in The Killing Joke. That was a runaway hit. (That actually didn't tie into Suicide Squad, there was a couple of images.) Generally, our Batman‑related backlist has always outperformed anything related to movies. Even when we had Man of Steel, we had lift in the Superman trades, but never to the same degree that we have in Batman. I would say that the Wonder Woman lift is comparable to that. I also think that people might have underplayed the impact the movie would have. There was a lot of discussion, not just in the direct market, but at mass market, of the impact this would be. At the end of the day, our sales, like the movie, had really good legs. We're still seeing some pretty good sales on our Wonder Woman trades. Didio: Also you have to realize, again, it's still about perception. Our Wonder Woman sales weren’t as strong as the Superman or Batman sales. We could double the Wonder Woman sales. It might seem like it's still lower than Batman or Superman, but it's a marked improvement for what it was doing the previous year. Lee: What's interesting is we meet about this every single week. We go over the direct market sales, and BookScan, and all that, but we typically rank our own books. We'll see it within the overall list of competitors, but that has less meaning to us. Wonder Woman is where it's at. Flash has seen great lift. Preacher. We do watch the performance, and Wonder Woman has done really well for us based on the success of the movie. That's what I was trying to say, what Dan was saying: it's very relative. We have historical information of how it's selling months ago, a year ago, and that's the information that we really focus on. Didio: Jim touched on Flash. Flash is a more interesting case because we have seen a spike in periodical and trade sales of Flash since the introduction of the TV show. That thing seems to be elevating that book on a consistent basis. It's not Walking Dead numbers. (We'd all kill for Walking Dead numbers. We used to track Walking Dead sales. Every time the show hit the air, that series would spike.) We don't seem to get that, but we have a nice, slow, steady lift, and it's consistent. It allows us, again, to broaden out our own publishing line, but we know we have a couple of things that we can go to for consistent sales. We were talking about DC Super Hero Girls earlier, which is a great initiative to reach a relatively new audience for DC. It's been going on a couple of years. There's been a lot of talk recently about the challenges of creating content using legacy properties that appeals to that new audience while still maintaining your strength in the core audience. You obviously have wrestled with that over the last couple of years, and "Rebirth" was, in part, a response to that question. Could you talk a little bit about DC's current stance on the question of how you get new audiences in and keep the old audiences at the same time? Lee: "Rebirth" has done really well, and that is our core line. The fact that it has been successful has given us the freedom and ability to take some of the resources and infrastructure that we have and devote it to a young reader line. That's something that has gotten out there. We haven't named it. We haven't announced a slate yet. Obviously, the success of DC Super Hero Girls has given us the confidence that this is a market that is underserved and it allows us to grow our business in a really meaningful way; but it also requires us to change the way we build our materials, the creators that we work with, how we market and sell, and distribute the books. Similarly, we have looked at a different segment of the audience. A lot of our best‑selling backlist were books produced in the 80s. These are done by high‑end creators, typically out of continuity, featuring our most iconic characters in stories that have beginnings and ends and have very different kinds of formats and coloring approaches. It allows us to tap into the creators that don't have the capability of doing a monthly book or don't want to do a monthly book that's tied into continuity, and have to play within those parameters. We feel that there's a real opportunity to produce these high‑end, prestige material books featuring high‑end creators. That's something that we are also actively exploring. We feel that if you look at the sum total of these endeavors, our publishing future looks really bright. It's also a positive thing to cull down the main superhero periodical line to the best‑selling books. One of the things we lament is that there are too many SKUs out there. There are four to five hundred books a month that are solicited. If I were a retailer, I would be drowning in the amount of pages and information that I would have to sift through to put orders in. We want to be responsible with the amount of periodicals that we put out, and what we ask our fan base to commit to on a monthly basis or weekly basis.